Sacred specializes in helping diverse student to senior people across the spectrum turn pain to power and reclaim their inner lady and gent bosses in the face of bias and inner criticism. In this way we can all rise and unleash our inner phenomenal. Since 2006, Sacred has helped thousands of men, women, and gender-nonconforming people. She fosters safe spaces for diverse communities including LGBTQ people and those with emotional or sexual abuse history in the caring professions to better manage life changes in ways that help them feel whole again and have a clear direction in their life and work place. How? Through counseling, expressive arts, and mind-body counseling based in strength based tools, Sacred supports those Kuumba Health, her company, serves to navigate their triggers, strengthen communication, manage their anger, reduce cluttered spaces and minds, and have more fulfilled lives that affirm what they bring to the world. Sacred creates counseling, retreat, and mastermind experiences so they can move blocks around intimacy, re connect them to their inner child in healthier ways, so their adult lives can be a success. 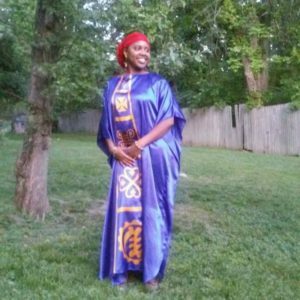 Sacred Walker is a master facilitator and the CEO and Lead Holistic Trainer of Kuumba Health LLC. Kuumba Health is a multi-service wellness and leadership institute for rising and seasoned caring professionals, to infuse well-being into their own daily lives and to stay connected to the vision that called them to the profession in the first place. Sacred Walker is a Holistic Psychologist, Interfaith Chaplain, and is deeply trained in several forms of mind-body approaches of care including drama therapy, organizational, and positive psychology. 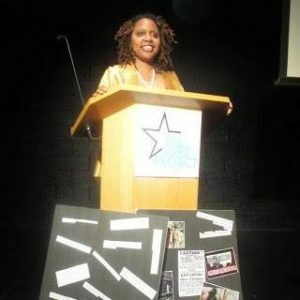 Her Master’s Level healing arts and one-of-a kind trainings courageously build inclusive spaces for caring professionals- ranging from rising campus members to seasoned organizational facilitating harmonizing experiences that heal divides, reduce stress, and foster socio-emotional learning, the spaces she facilitate become both therapeutic and create in roads to excellence. Kuumba Health bridges the diversity & inclusion pipeline. In her spare time Sacred loves the good company of fellow visionary leaders and the delight of dance and music. 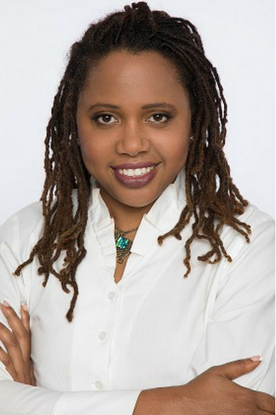 Her qualitative research within Ivy League towers focuses on the physiological and psychological impacts of environmental stressors, and she explores wide reaching creative health solutions which explores quantitatively the effect of on family systems of macro domestic violence on those experiencing inter-sectional environmental stressors, and what insights contemporary and ancient integrative teachings and historical frames such as Trans-Atlantic slavery bring. After over 15 years of serving highly-stressed communities, my life’s journey is to foster affirming wellness and leadership spaces across campuses and companies where care comes full circle by healing divides, infusing well-being, and fostering leadership. By facilitating evidence-based harmonizing experiences that build bridges and reduce stress, the spaces I facilitate increase productivity and infuse well-being. Together, we promote thriving leaders in today’s global marketplace. I allow my naturally creative, soulful, and transformative presence, alongside my holistic Master’s Level training to support your community to envision wellness and leadership, and gain tools to succeed by stepping into their higher vision of excellence. Larger groups are trained by our team of expert Master’s Level Development Trainers. My global motivational talks and experiential trainings cultivate cultures of well-being and inspire connection to the highest vision of our inter-connected humanity. On behalf of our company, I look forward to being of service to you. Raised in Crown Heights Brooklyn, as a first generation Jamaican immigrant, I, Sacred Walker, lived through the Crown Heights riots and am a survivor of gender based violence. I witnessed the effects of how discrimination impacted my community and experiences of discrimination impacted our Caribbean community member’s quality of life. By age 22, I was hospitalized over a dozen times with an unknown acute pelvic pain. Through art therapy and holistic medicine, years of suppressed pain has become increasingly manageable. I also saw the effects of mental health issues in my family, and the positive & lasting impacts holistic approaches of care had in ensuring that those family members found agency, felt held, and supported as a compliment to psychiatric care. I began to understand that emotional hurt can have lasting effects on the physical body, impacting personal life and ability to show up fully as a working professional. I created self-revelatory stories in theater, dance, and story book writings which saved my life. My first creative piece was born entitled “Arise Chile,” which was performed in New York City at the Second Stage Theater. I knew I was onto something thus creating countless others and my own healing paved the way for healing others. After being accepted into Union Theological Seminary, a Columbia University affiliate, I began to study Holistic Psychology and pursue drama therapy. While in the Seminary, I traveled to India to study Ayurveda, Yoga, and Psychology at the Ayurvedic Medical College. While serving orphaned children in Kerala, India, I also studied gender-based violence in my home country of Jamaica. In my final year at the Seminary, I was accepted into a post-graduate residency at New York Presbyterian Hospital Inpatient Women’s Unit, and it wasn’t long before I was asked by the Head Psychiatrist to facilitate a group to address the hopelessness experienced by women. I again saw arts, ritual, and community support feed broken souls as a supplement to psychiatric medication. Today as a national motivational speaker and trainer, I speak at symposiums, conferences, webinars. Through my company, Kuumba Health Institute in partnership with local and international development trainer, together we spearhead experiential and didactic leadership development seminars, retreats, transformational “Soul Care” and ,”Stress Mastery” coaching and professional development trainings that find creative & cutting edge solutions to support you in being healthier leaders that propel forward healthier communities. When I’m not bringing Love Medicine in Life’s Stressful Moments to those I work with, dance, playwriting, poetry, theater, and meditation are my outlets. I have graced the stage of Alvin Ailey having performed in the World Dance Festival, and Second Stage Theater performing my one woman plays, to name a few. I bring all this and more to intuitively and confidently serving you.